Many churches, event centers, and conference centers are looking for an easy way to set up their live streams or video conferencing. Because of this, I have written quite extensively on the cameras needed to accomplish this task. 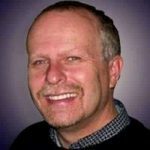 This article is part of my series of reviews on PTZ (Pan/Tilt/Zoom) cameras and specifically a review on the HuddleCamHD G3 Video Conference Camera. Previously I have covered video cameras from PTZOptics and Logitech. All 3 are great choices depending upon your needs and budget. Choosing the right camera for your live stream is extremely important. It will make or break the effectiveness and enjoyability of your videos being watched. This video camera is the perfect choice if you want a combination of value, functionality, simplicity, and quality. You will benefit from a range of features with this device, and you can look forward to impressive specifications at an affordable price. It is sleek, stylish, and modern, with plenty of significant benefits. This makes it an ideal choice for video conferencing and events. Here is a little more about HuddleCam and their PTZ cameras. THE 3XA: A complete USB web-conferencing camera and microphone solution with 3X Optical Zoom, for capturing all the action even, at long distances in small to medium sized rooms. 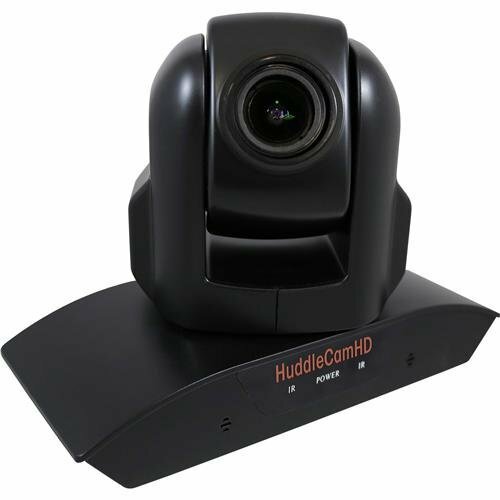 PLUG AND PLAY: The HuddleCamHD 3XA has been designed for plug and play compatibility with web-based video conferencing software such as: Skype, GoToMeeting, WebEX or Zoom. Enjoy seamless integration even with live streaming applications such as Facebook Live. CRYSTAL CLEAR: High-Definition 1080p video with lossless 3X optical zoom letting you get up close to see and interact with your team. EASY SET UP: With HuddleCamHD you are getting the easiest solution possible. Simply plug your camera into your computers USB port and start your video conference. WIDE FIELD OF VIEW: The HuddleCamHD 3XA has a wide 84 degree field of view so you can capture your entire room and still have the ability to zoom in. There are many reasons why this could prove to be the perfect camera for your conferencing needs. It is a very high quality, robust product with a modern and stylish design. However, it is also very versatile and powerful, making it perfect for all sorts of different spaces. You will benefit from the high specifications of the product as well as a range of great features designed to enhance your conferencing experience and give you the best results possible. The camera is convenient and straightforward to set up as well as to use. It comes with a two-year warranty on parts and labor for your peace of mind and protection. Offering high-quality output, the perfect field of view, compatibility with your favorite software and a variety of control options, this has become a popular choice amongst businesses. Modern, sleek, and compact device. Variable focal length with optical zoom. High quality with full 1080p HD at 30 FPS. Wide and tele zoom options. Comes with over 60 presets to enable fast and efficient control. Ideal for events, conferences, and other purposes. High specification model with plenty of features. Dimensions: 5.7 x 6.4 x 5.8 inches. Also, you benefit from a two-year warranty on parts and labor with this product. 1080p HD quality: You can look forward to excellent quality video output with this camera, as it offers full 1080p HD video and a 10X lossless zoom so that you can see objects and people. This is further enhanced with the 10X optical zoom feature. USB setup: You can set up and start using your camera with speed and ease, as you need to plug it into the USB port on your computer and you are ready to begin your conference. This provides a simple and efficient solution. Connectivity: In addition to your PC, you can plug and play through the USB in the Mac or ChromeBox. There is no need for any additional software, which means greater convenience and lower costs for you. Field of view: You can enjoy the perfect field of view in both small and large spaces. This ranges from 8 degrees to 61 degrees based on wide or telephoto lens. This makes it easy to zoom in on areas of interest during your conference or presentation. Compatibility with video conferencing software: You can use your favorite software without any problem with this camera, as it offers compatibility with pretty much all online video conferencing software. Easy to access presets: The camera offers some presets, which can be obtained with ease through the use of the IR remote control that comes with the kit. You can control the tilt, zoom, and pan of the camera with the remote as well as various other settings. A range of installation options: With this camera, you can choose from some different installation options to suit your needs. This includes using the standard tripod, mounting the camera to the wall, or even ceiling installation. The HuddleCamHD G3 PTZ Video Conference Camera is the most affordable of the PTZ cameras. However, when doing this HuddleCamHD Video Conference Camera Review, I was struck by the fact that you are limited by it’s 3x zoom. So if you need a camera that will pan and tilt but is close enough not to need to zoom in closely then this camera will work for you.